If you or a loved one has been injured or a loved one has been killed in an accident at work or in an accident due to the negligence of another you need a dedicated, experienced lawyer who you can trust to get you the compensation you deserve. At Whitehead Law Office, we are dedicated to getting you the compensation you deserve. We strive to help you obtain maximum physical recovery as well as financial recovery which you are entitled to under the law. At Whitehead Law Office, based in Coeur d’Alene, Idaho, you will be provided direct, honest answers to your questions. We provide caring support through our legal team, which is dedicated to providing professional legal representation to victims of serious on-the-job injuries as well as other actions caused by the negligence of individuals in the states of Idaho, Washington, and Montana. Mr. Whitehead has practiced in the Clearwater Valley, Orofino, and Lewiston areas for over thirty-one years while maintaining his residence in Coeur d’Alene. 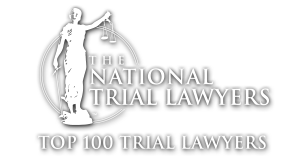 Mr. Whitehead has been a Certified Workmen’s Compensation Specialist since 1996, has received the Mountain States Super Lawyers recognition, as well as being chosen as one of the top 100 trial lawyers in the State of Idaho. Mr. Whitehead pursues maximum compensation for your injuries including compensation for medical expenses, wage loss, loss of ability to perform activities and retraining benefits if you are no longer able to perform you current job duties. Disability above and beyond any permanent partial impairment you may have sustained is also available. Mr. Whitehead always makes himself available to his clients either through a phone appointment, e-mail, or through an in person appointment. He also provides new clients with a free consultation either in person or over the phone, where he explains the legal process and potential benefits in an easy to understand way. His trained staff is always available to answer any questions a client or potential client may have. Let us at Whitehead Law Office educate you about your legal rights. Call for a free phone or in person consultation with a well experienced attorney in the areas of Workers Compensation, Personal Injury or Wrongful death. We serve clients throughout Idaho, Washington, and Montana. Learn more about Richard Whitehead and his years of experience successfully representing individuals against numerous insurance companies, such as State Insurance Fund, Liberty Northwest, Associated Loggers Exchange, Workmen’s Compensation Exchange, Safeco, Allstate, Liberty Mutual, Potlatch Corporation, State Farm, Progressive and other corporate entities. There is no attorney fee charged for learning more about your rights. This website and it’s contents do not consititue legal representation a signed continginency fee contract is necessary to undertake representation. Readers may consult to determine how laws may apply to their specific circumstances.